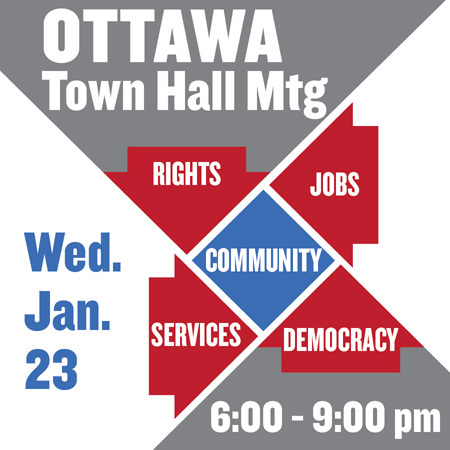 Join the Ottawa town hall discussion on Wed. Jan. 23, 2013 @ Ottawa City Hall (Champlain Room), 111 Laurier Ave. West. Meeting: 6:00 pm to 9:00 pm. Pizza and refreshments provided. Everyone welcome.